"It was a really surreal moment," says Troye about singing with Taylor Swift. South African-born Australian singer Troye Sivan says performing with Taylor Swift was a dream come true. The 22-year-old performed his single, 'My My My! ', with Taylor during one of her 'Reputation' tour stops in California this month. During an appearance on the Today Show show this week, Troye revealed how the surprise duet came about. "I was like, ‘I’m going to try my luck and try to get a free ticket to her show. And she said, ‘You know what, you can come if you sing with me.’ It was a really surreal moment, and more people than I’d seen in my entire life," he said. And it seems Taylor is also a big Troye fan. Hours before their performance she shared a video of herself gushing about how "obsessed" she is with the surprise male guest (who turned out to be Troye). Troye's fans can look forward to him performing during a tour of his own. He announced on the Today Show that he will be going on tour in the US soon to support his latest album, 'Bloom'. "It’s happening in the fall, and I can’t wait to see everyone,” he said. 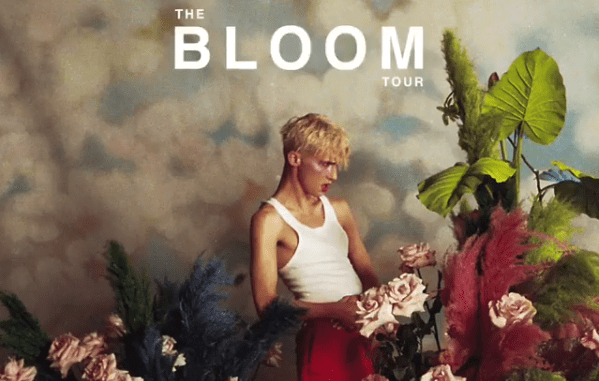 🌺THE BLOOM TOUR 🌺 PRE-SALE TICKETS TO MY US TOUR GO ON SALE ON JUNE 5TH IN MY APP. AAAND EVERY TICKET ALSO COMES WITH A PHYSICAL BLOOM ALBUM. GO OFF!